Yamaha’s flagship synth shows what it’s really capable of • 30 custom Performance Multis replicate the detuning, panning and settings used on our very own lab DX5 to create a thicker, richer sound than FM usually achieves • Simple but powerful control set including Tilt EQ, Filter and Amplifier so you can craft your own sounds • Velocity-to-volume and Velocity-to-cutoff retrofitted for even more expressive options • Awesome custom sounds for 20c per patch! 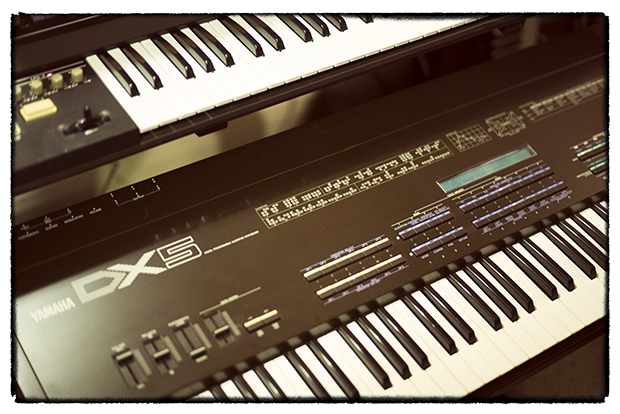 As you’ll know if you’ve taken a glance at our PatchVault DX5 sounds or our DX Keys Deluxe EPs, the Yamaha DX5 is one of those instruments that’s a good deal more than the sum of its parts. 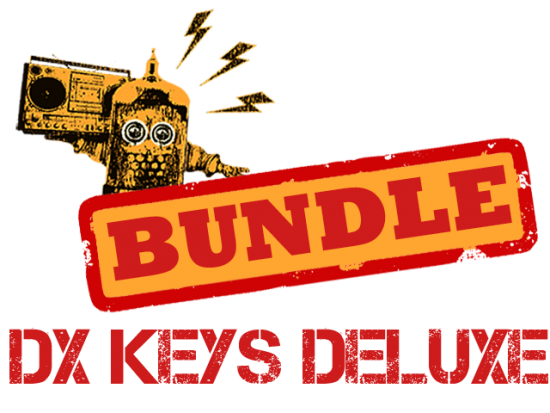 Nominally, of course, it’s two DX7s in one big box – which would make it on a par with Yamaha’s later DX7IID, for example. In practice, though, the DX5 and the 7IID sound distinctly different: the 7IID is cleaner, crisper and shinier, while the 5 is thicker, richer and somehow “more brown”. This is the result, largely, of the hand-picked 12-bit DACs used in the 5, which bring what we feel is a welcome dose of warmth to the FM synthesis on board. Our existing PatchVault DX5 set recreates Yamaha’s own factory presets for this awesome monster-synth; but while they’re great (and a genuine slice of musical history, too), they’re not in fact the patches we keep loaded into our laboratory 5, preferring instead to stock it to the gills with full-on synth sounds – weird, other-worldly, swooshy, non-realistic, out-there explorations of what FM can do when it’s really let loose, rather than brass patches and string patches. These are the result of years of quiet collection on Mongo’s part, and in this PatchVault set we’ve assembled the best of them for you. This set includes both raw patches and the Kontakt Multis necessary to recreate the DX5’s two-layer architecture: each Multi is a direct copy of one of the lab 5’s Performance memories, incorporating two patches plus the detuning and panning information necessary to thicken and spread them. 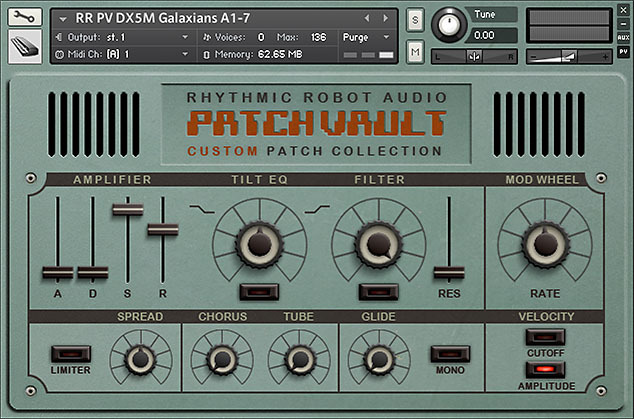 Plus of course you get the usual PatchVault control set, which vastly extends the scope of the patches and Multis, allowing you to create your very own DX-inspired soundscapes. 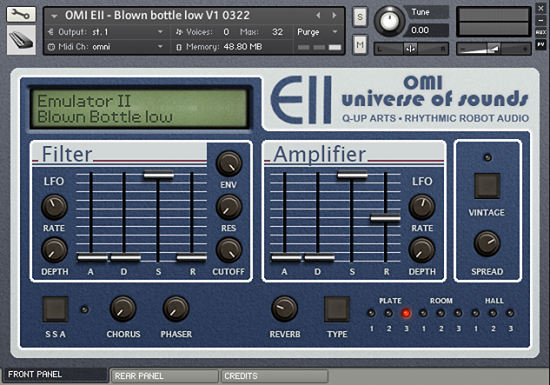 All this fun comes for just 20c a patch; and if you think you already know what FM sounds like, it might be worth taking a listen to the audio demo – you might find yourself surprised by what the DX5 can pull off!